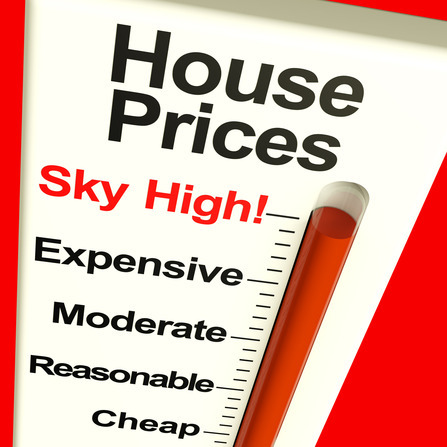 Pricing real estate in today’s market is not an easy task. With the addition of short sales and foreclosures home prices can be all over the board. Some homes are marked 50% below market value while others are desperately trying to squeak out the last bit of profit that they can get. So how is a seller supposed to know where to price their home? Without stating the obvious that a Warner Robins Realtor® can provide the best price range, sellers can start looking at home prices, current trends, median home prices, and what homes have actually sold for over the last 4 to 6 months. Appraisers in the past have taken comparable sales over the last 6 to 12 months, but in today’s market with prices of fluctuating so rapidly, these numbers may not be as accurate. Just 10 years ago, home values did not rise and fall as dramatically as they’re doing today. Appraisers could take what a home sold for and add or subtract features of the current listing to determine the right price. But in today’s market, the violent housing structure can throw the common home seller for a loop. If you want to get a good idea of what your home is worth without contacting a Warner Robins real estate agent first, take a look at the current home prices in your area. Do a property search for homes that fit your square footage, number of bedrooms and bathrooms, lot size, and age or condition. If you are not selling through a foreclosure or short sale, subtract these from the list. This should give you a good price range of where to start. While every appraiser and lender is slightly different and may vary on what their requirements are for pricing a home, the closer you get to a more accurate number the more buyers will come through the door and ensured an accurate closing. There’s nothing more disheartening than having a buyer submit offer on your home only to determine at the appraisal that the home is not worth what the buyer is willing to spend on it. It’s best to price the home correctly from the beginning to appease lenders and appraisers while also getting as much profit into your pocket as possible. For the most accurate Warner Robins home value, contact me anytime. Because I am an expert in Warner Robins real estate and I deal with buyers and sellers, I can help find the right price to sell your Warner Robins home. (478) 960-8055.